Zincalume Vs Colorbond – Which Should I Choose? When you are deciding to replace your roof, one of the first things you think of is the material that should be used. Your roof covers the entire house and protects you from the elements and adds safety to your home. It goes without saying that you want a material that will be sturdy, last long, look good and fit into your budget as well. If you are choosing metal roofing, two choices that are available to property owners are Zincalume and Colorbond. Both these roofing products have been specifically-created & trademarked by specialist steel manufacturers as highly-durable products which have been thoroughly tested and created to withstand corrosion. 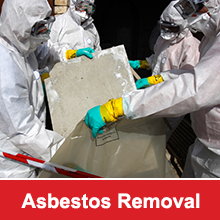 They are designed to protect your home/ commercial building against any infestations like termites. Colorbond steel is essentially a pre-painted and strong steel roofing material. In the 1800’s, it was discovered that corrugated roofs were durable but they had a tendency to get corroded and required frequent painting to keep them in a good condition. Colorbond steel was specifically created to eliminate this high cost of painting. It is sealed with a pre-painted finish and has a Zincalume core which is very durable. It is available in a range of color and design options and is now a very popular metal roofing choice in residential and commercial projects alike. Not only does the material look good, but it also has the thermal-efficiency benefits that painted roofs have. Colorbond is a very durable steel product that does not have the shiny aluminium aesthetic that other steel roofs have. Zincalume is a combination of aluminium, zinc & silicon and is a very durable metal. It has a lifetime of around 4-times that of any galvanized steel roofing and is designed to last. This durability factor makes it environment-friendly. It also does not have to be replaced often and it means a lifetime of savings for the consumer. This material has been run through stringent quality tests for 17 years and in this period of time, the panels that were being tested were exposed to marine environments and other elements and they was able to withstand all these very effectively. The one major disadvantage of this material is that it has a shiny aluminium color which tends to dull over time. Many property owners feel that it does not complement the look of their home and that it has a negative impact on the aesthetics of their property. And so, when it comes to making a choice, that can be a difficult proposition. Many builders and architects offer their clients a median route and suggest that a combination of Zincalume and Colorbond be used. The highly-visible roof surfaces will have Colorbond roofing and the ones that are not so visible are covered with Zincalume. This helps consumers enjoy the benefits of both and it also becomes a cost-effective solution for them. 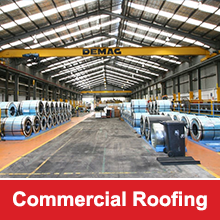 For more information about these innovative steel roofing products, contact RO Roofing on (02) 9660 5937.